Kripalu Yoga Beginners — Centered Presence, LTD.
You’ve heard a lot about yoga and maybe have even tried a class once only to find that it was too fast paced, it was presented only in ways that your body doesn’t quite move in yet, or maybe you wanted to connect more with your inner being, but got an aerobics-style gym class instead. You may have left thinking that yoga isn’t for you. Well, yoga is for you! Maybe you just need to experience a different type of yoga, do it at slower pace and in a way that builds with each successive lesson. 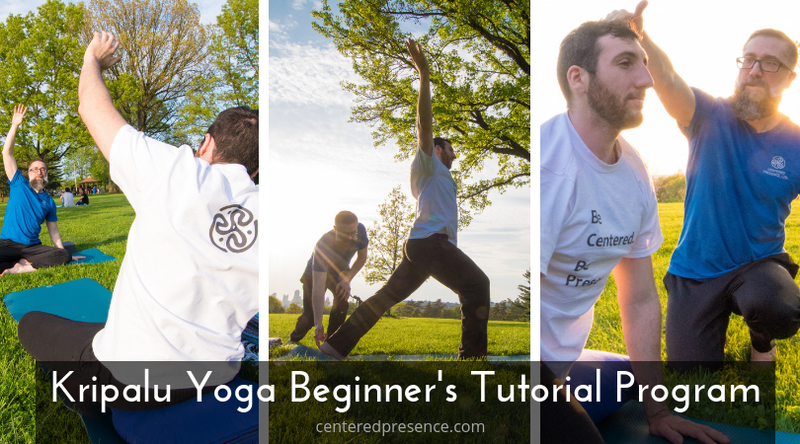 This program is designed for people who haven’t done yoga before or have had little experience with it and want to learn at a manageable pace. Six 75-minute tutorials introduce four breathing techniques, warm up exercises, 24 yoga poses and the principles of Kripalu Yoga. Private programs are scheduled at your convenience and desired frequency. In the tutorial Program, Kripalu Yoga is introduced with detail. No experience with yoga or exercise is necessary. Props, such as yoga blocks and cushions, are used to ensure safety and surety. Instruction will be done at a pace to allow absorption of the material and give time to practice.